Landmark Products’ contribution to what is being called “Australia’s first ever sensory park” came in technicolour. 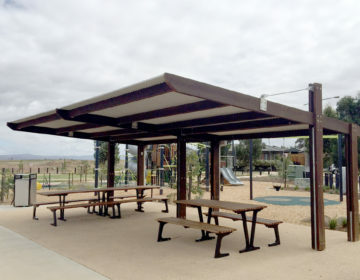 Providing five steel Whyalla skillion shelters,Landmark is proud to have been associated with the $3.6 million redevelopment project at Gladstone’s Lion Park. At the grand opening of the park, Gladstone Region Mayor Matt Burnett echoed the sentiments of the parents and children attending, that the project exceeded expectations. He said the unprecedented park was designed to be fun and educational, enabling children and adults to explore the seven senses – hearing, sight, smell, touch, taste, physical balance and proprioception, which is the sense of position and strength of movement of the limbs. “All the different playgrounds are specifically designed to cater for children and adults with sensory processing disorder, auditory processing disorder, autism, down syndrome, muscular dystrophy, cerebral palsy, spina bifida and visual impairment,” he said. The overall design of the park, was inspired by Leonardo da Vinci. With Gladstone’s strong connection to industry, the design based on “cogs” sought to reflect the theme “industry meets nature”. In keeping with the “sensory” theme, each of the Landmark shelters came with a coloured different powder-coated aluminium front screen – dark violet, blaze blue, yellow gold, orange x15 and flame red. The structural rating of each of the shelters was upgraded to C2 wind code, as required for the region. 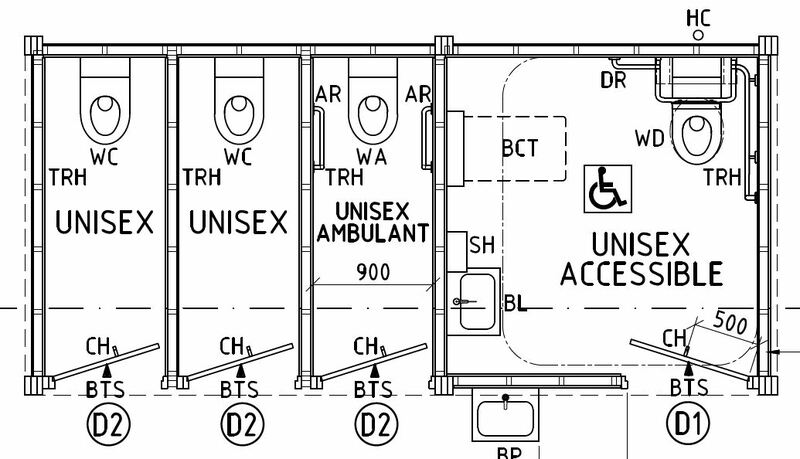 All shelters were delivered in kit-form complete with engineer certificates, building application drawings and installation instructions.